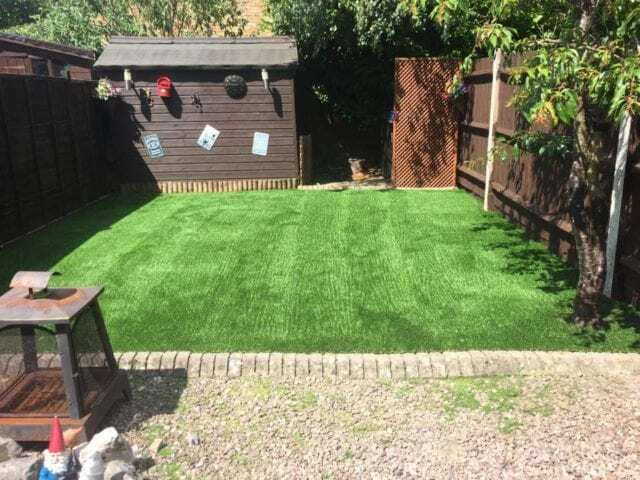 The owners at this property in Hertfordshire have made great use of the levels in their garden. 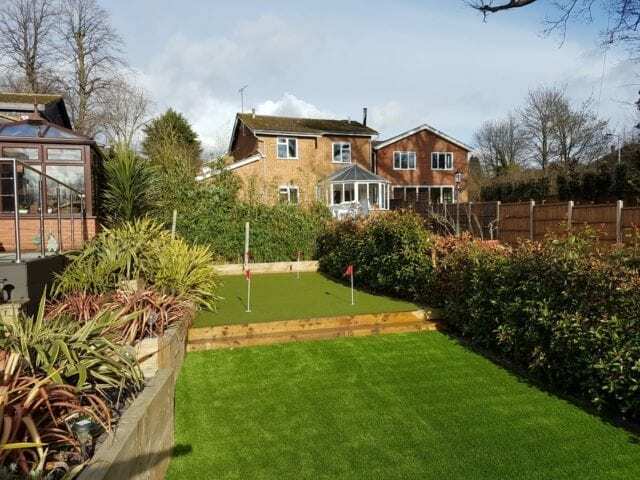 We installed a Trulawn Prestige lawn alongside a Trulawn Pro-Putt putting green so that they can enjoy a garden putting green installation and a range of activities throughout the year. 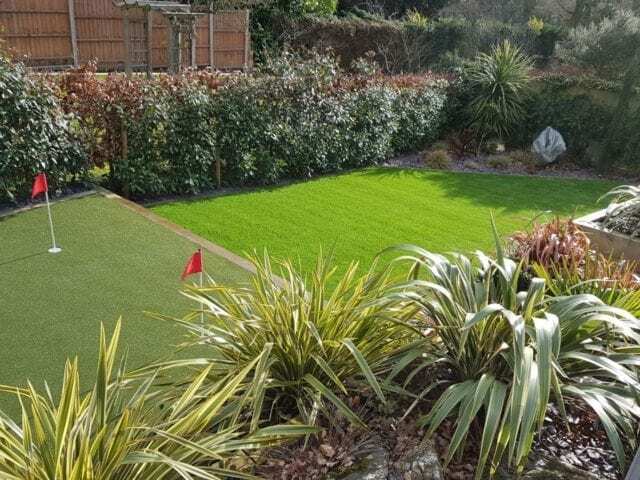 We can install putting greens to all sorts of shapes and sizes, with undulations to give you more of a challenge depending on your requirements. 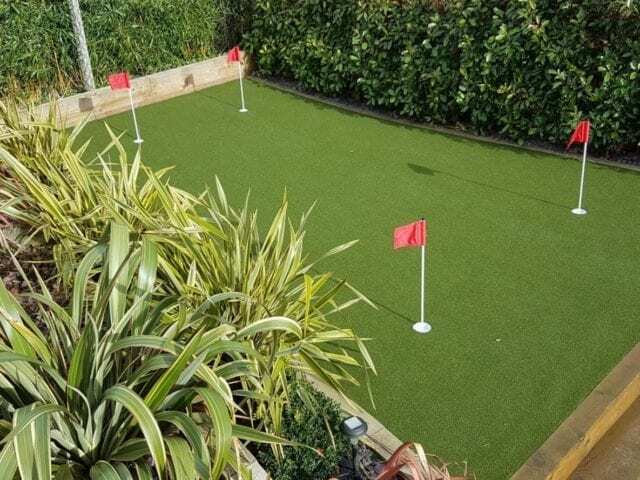 You can improve your game and use your garden at the same time with our durable putting surface. 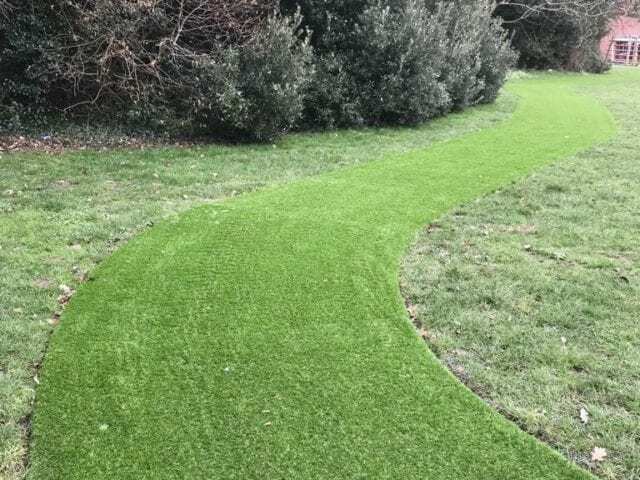 Our Trulawn Prestige also makes a great contrast to the putting area. 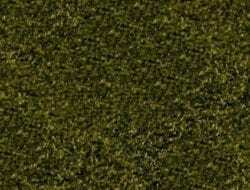 At 37mm it’s a slightly longer pile height which feels very like natural grass underfoot.